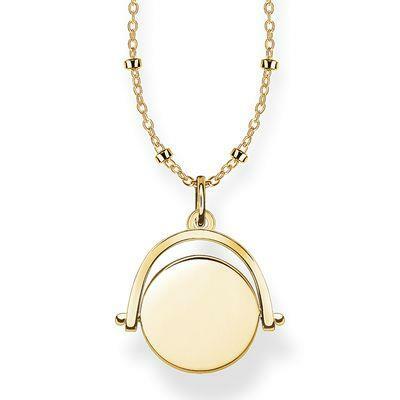 This elegant necklace by Thomas Sabo, made of 18ct Gold Plated 925 Sterling Silver, features an engravable spinning coin, and makes for a perfect playfully romantic gift. The ultimate token of love. Let us know in the comments box at checkout what you'd like engraved on your necklace.